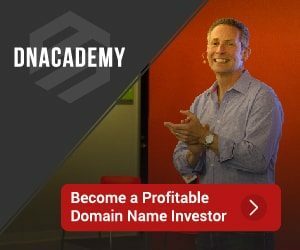 This is the first interview in an ongoing series of interviews with key word domain business owners. You’ll see how they value their domains and the impacts these premium domains have had on their business success. I had the opportunity to speak with Mark Farlow of National A-1 Internet to gain a little bit of insight as to how SexToys.com has benefited the company. Mark: Sextoys.com is owned and operated by National A-1 Internet. National has been in business for over 15 years and employs over 200 people. For the last 10 years our focus has been to create high quality value oriented websites for our customers. Sextoys.com is one of those sites. We believe in building our business for the long term, and part of that is to create relationships with our customers and suppliers based on respect and honesty. Mike: Has has owning the domain SexToys.com impacted your business? Mark: You can never go wrong owning good domain names. The most obvious benefits to owning the domain Sextoys.com is brand recognition. People remember the name, and come back because of it. It allows us to effectively market the domain, and there is no question in the consumer’s mind as to what the nature of our product is. Another benefit is the Search Engine Optimization. Having your main keyword as your domain name really helps when folks link back to you. Mark: Due to the nature of our affiliate program www.toysales.com, accurate traffic stats of the sextoys.com domain are not possible. I will say that it is a high volume site receiving traffic from URL type-ins, Search engines, and affiliate traffic. We rank highly in Google and Yahoo for most of our keywords. Mark: We utilize a mix of Google Adwords, SEO, and our affiliate program to generate our traffic. We have staff dedicated to our marketing and branding. We also promote our brand through print ads, trade shows, on-line advertising outlets, and consumer shows and events. Mike: Did you have another domain for your site before SexToys.com? Mark: Yes, National A-1 Internet owns and operates a great many domains. Our business is to monetize our key domains by offering valuable products and services to consumers. Mark: With proper SEO and marketing growth has remained consistent over the last few years. When we first launch a site, we spend considerable time performing proper SEO, and building a strong marketing network pre-launch. This allows us to ramp up traffic quickly within the first 6 months. After the initial launch, we reassess our marketing and SEO strategies on a scheduled basis. This allows us to overcome any new marketing obstacles, and maintain a steady rate of growth. Mark: We’ve owned the name sextoys.com for as long as I have been with National A-1 Internet. I couldn’t say how we acquired the domain. We quite frequently purchase domains either through registrars such as Network Solutions or GoDaddy, as well as at auctions or through other individuals looking to unload their domains. The process is different in each of these situations. Mark: Absolutely. A good domain name is worth its weight in gold. That being said, it is still possible to have monetize and create a strong brand with almost any domain name. If possible, think about keywords, and what your customers are looking for. If you can’t get the domain name you really want, find something that is catchy or has a ring to it. You can create a brand with almost any name if you are willing to put in the effort and resources. We are well known in our market. We have friendly competition with other sites in this market space, and while it is highly competitive I believe we all respect each other. As far as what they think, you might want to ask them. We pride ourselves on our customer support. We were one of the first sexual health sites to offer 24-7 live phone support. We offer comprehensive order tracking, and 24 hour problem resolution. We are nothing without our customers, so we treat them with the respect and gratitude they deserve. The fact that we have a large number of repeat customers says volumes as to what they think of us. At this point selling the domain is not an option. Of course you never know what can happen. We receive many unsolicited offers to purchase our domain. I politely thank them for their offer, and let them know it is not currently available for sale. Employ 200 people. I was not aware National A-1 were that big. Mentions also using print ads for marketing which I assume is done very selectively. In fact, many feel that’s no longer a good cost/benefit ratio. But that’s a case by case situation most likely. @M.Menius, I agree that print advertising may not provide the largest ROI, but it likely depends on the demographic. As you stated…. a case by case basis. Great name!!! Put it to go work!! !